On average, perimenopause lasts for 4 years. It can trigger anxiety, depression and host of mood-altering effects. Do you feel sad, irritable or very tired? The perimenopause itself may be triggering these feelings. Until fairly recently, no conventional medical term could even define the symptoms of perimenopause. However, integrative medicine has long understood what it involves and used a variety of tried and tested natural strategies to manage it. 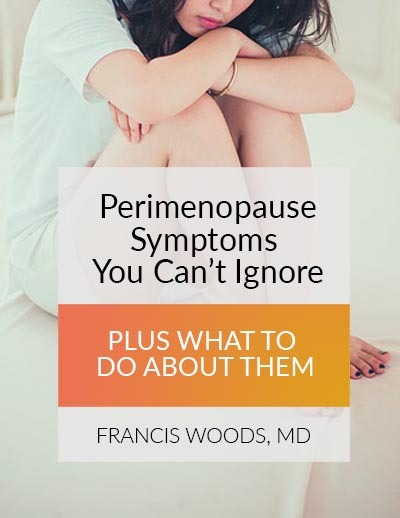 No single woman’s experience of perimenopause is the same, but the 5 healthy, natural ways uncovered in the guide have the potential to help you no matter which perimenopause symptoms you need relief from.